This chapter is a continuation of Revelation, Chapter Eight’s sounding of seven shofars (or trumpets). 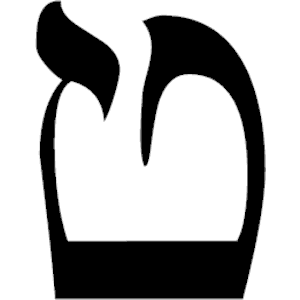 The Day of YHVH and two of the three remaining trumpets, completing the Divine Year of Vengeance, continue here. As asserted in the previous article, the chapter division between the seven trumpets alludes to the division of millennial days before and after the cross (i.e., 4 days then 3 days). The first four trumpets manifest curses on the non-sealed people of the world by: 1) earth/forestry, as the curse in day of Adam; 2) oceans/seas, as in the day of Noah during the flood; 3) rivers and other fresh waters, as upon the Nile River in the day of Moses; and 4) sun and heavenly lights, as in the day of Yeshua the Messiah. Again, the first four curses coming upon the world during the morning (first year) of the Great Sabbath (i.e., the seventh millennium from Adam) reflect messages during the days of Adam, Noah, Moses, and the Messiah (stars of Jacob and Sun of Righteousness smitten). Those shofar curses reflect the first four millennial days, whereas this chapter reveals the final two before the last trumpet of Christ’s arrival: a curse on the worldly flesh with torture and afflictions by empirical armies, particularly by a new Caesar-figure at the end-time’s Beast Empire. Hence, the fifth shofar/vial alludes to the fifth millennial day from Adam, during the days of Peter and the apostles during the height of the Roman Empire. The Son of Perdition, the power of Satan, falls from his glory among the nations to everlasting shame. After six years, with at least 1/3 of the green Earth destroyed from previous curses, and many dead because of the bitter fresh waters and bloody seas, the Antichrist will no longer shine as a star but be brought down to Earth as the people riot and revolt. As a result, he will release all his forces of darkness, as dictators and despots often do to maintain control of their populaces. The times, however, have already been determined, and his reign of terror nears its end. Hence, the fifth trumpet of Revelation reflects the Roman military machine (in the fifth millennium from Adam) that was known to persecute Christians and practicing Jews before the Roman Empire converted into its pagan form of Christianity. With the world in chaos, the “thirty minutes” of silence in Heaven end with the sound of world war. Thus, six years of the Apocalypse have passed at this point, and the last/seventh year is the worst with seven trumpets of warning and their accompanying vials poured out as the vengeance of God for His people. The first four represent curses reflective of the first four millenniums of biblical history, and we continue with a fifth curse correlating to the Roman beast. The curse of the Beast’s empire was torture to the 1st century people of God, both to Jews and Christians, so for us the Lord is just in releasing beastly armies of the world on those who have hated His people. YHVH my Elohim, You are righteous in recompense. You allowed the curse of the Roman beast and their troops on Jews and Christians in the days of Peter, for the Gospel’s sake, but they have not acknowledged the curses brought by the cruel empire. They have rejoiced in persecution of the flesh, and now those who loathe Your righteous sealing are tortured in the flesh. The sign of the 5th day and torture in the flesh is visited upon the children of the Beast and False Prophet, as they so deserve. Various views are taught about the army of locusts in Revelation. Some people teach that they are a literal army that will ascend and escape from the core or mantle of the earth. While it may be possible that such peculiar creatures exist as literarily described, as a hermeneutic rule in forming our exegeses, Scripture should first be cross-referenced with earlier Scripture for proper extrication of tangled mysteries. Likewise, some readers find that the ancient description of the army of locusts resembles helicopters that darken skies, emptying chemicals on those who revote against them. They sound much like an army of chariots. 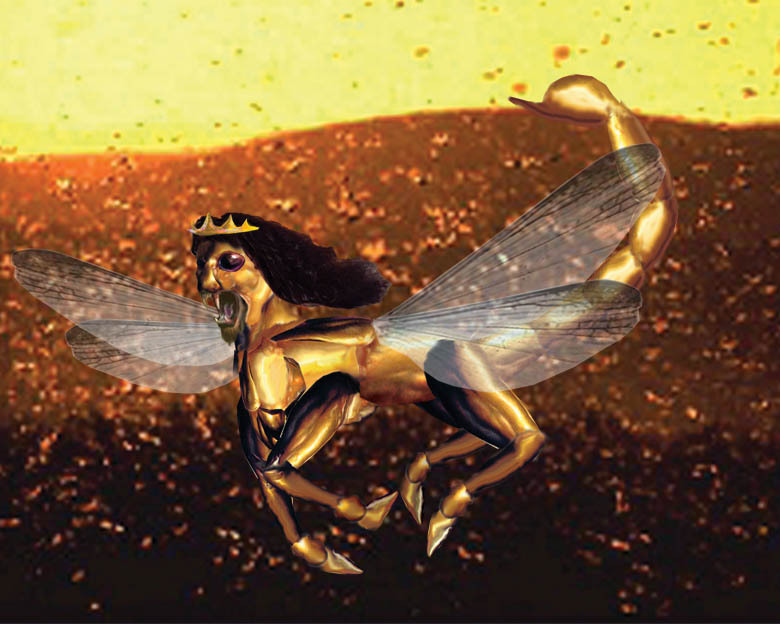 In ages past, scholars saw a strong resemblance of the Revelation locusts in past Persian and Muslim armies, having a similar nature in their movement and destruction. Hence, there are several interpretations and possibilities to consider, and more than one truth may be alluded to in the passage, but those who know Scripture should discern that these swarms of locusts are a future army of men released by the Beast, foreshadowed to come on the Day of YHVH by Prophet Joel. When the Lord YHVH delivered the nation of Judah from the “northern army,” before their latter Babylonian Captivity (see Joel 2:11-12), He described the northern army of Assyria as locusts. It was described this way because they ruthlessly devoured the land and destroyed everything within their paths (see Joel 1:4). Though they were repeatedly called “locusts,” they were also called a “nation…strong and without number.” Joel described them as having “teeth as lions” because of their ferociousness (see Joel 1:6); a fire devoured before them and a flame was left behind (2:3); they appeared like horses in their swiftness (2:4); they sounded like the “noises of chariots” (2:5); they entered windows like thieves (2:9); and the sun and air were darkened because of their multitude (2:10). Scripture leaves only one interpretation for future locusts: They are a vast army released by the Antichrist, as if from the very pit of hell; but they are not otherworldly creatures or hostile aliens entities. If Holy Scripture is allowed to interpret Holy Scripture, it becomes clear that God offered a spiritual depiction of a devouring army, sent against His people but soon to be released upon their enemies. As for the rest of the symbolism of the locusts in Revelation- aspects not found in the foreshadowing of Day of YHVH in Joel- each characteristic explains a little bit more of the spiritual likeness of this army of the Destroyer. They each had something similar to a golden crown which means that they are highly exalted, perhaps having conquered other nations, with each having the self-image of a king. They had hair like women, and this suggests that they have a religious or righteous covering over their heads as they advance (see 1 Cor. 11:15), plausibly showing themselves effeminate or sensitive to those whom they conquer and subdue. Their nature is to destroy everything green within their paths, like locusts, but they are commanded against their nature not to harm the grass, trees, nor anything green. They have the power to kill but are only allowed to sting those who do not have the Lord’s seal of salvation (perhaps because the elect are hidden in the final year). They are armored like war horses prepared for battle and have iron breastplates, which is comparable to riot equipment and protection gear/shields. Notably, iron was also the metal utilized by Daniel to describe the Roman Empire (as opposed to the gold, brass, and silver of the other empires that he described). Lastly, the power of scorpions is symbolic of the powers of Satan to torment (see Luke 10:19), but, during this occasion, its is not to kill; it is to submit and weaken their worldly people. None of this makes sense without political correctness and false sensitivity in a world of progressive, globalist leaders who still feign righteousness. The scorched grass has begun to grow back, and too many trees have already been burned-up, so they are sensitive to the trees and grass of Earth. They want to police their own people, but not kill them, using non-lethal weapons and tactics. Rioters are hurt, perhaps even paralyzed for months by biological agents and chemicals. The world will be in panic because of the Apocalypse plagues. Hence, the Beast’s army and police will struggle to keep citizens orderly as the year of God’s wrath is displayed before all. If this vast army was at war with an enemy for survival, they would indeed kill without restraint, destroy, and show no mercy upon the foreign land, but God will let all the rioting people- those who will trust and worship the Beast empire and its system of fascist socialism- to receive their stings. Who is the Beast’s swarming army? While we should be hesitant to name nations at this time, scriptural clues tell us they will be composed of “iron and clay,” as a Euro-Mohammadan alliance predicted in Daniel for the end of the age. The Antichrist’s empire will be very large, much like ancient Rome, and keeping the rioting nations subdued during a time of apocalyptic panic will be a full-time job, even with a vast army and militarized police, so it is likely that the Beast’s army will consist of soldiers and police from at least ten nations (horns). 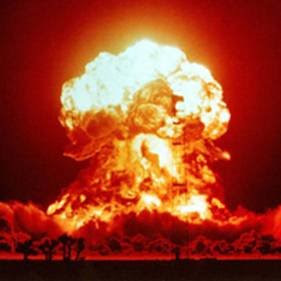 Teth, the letter that the Holy Spirit put these revelations under, may also provide signs of the army of the Destroyer. 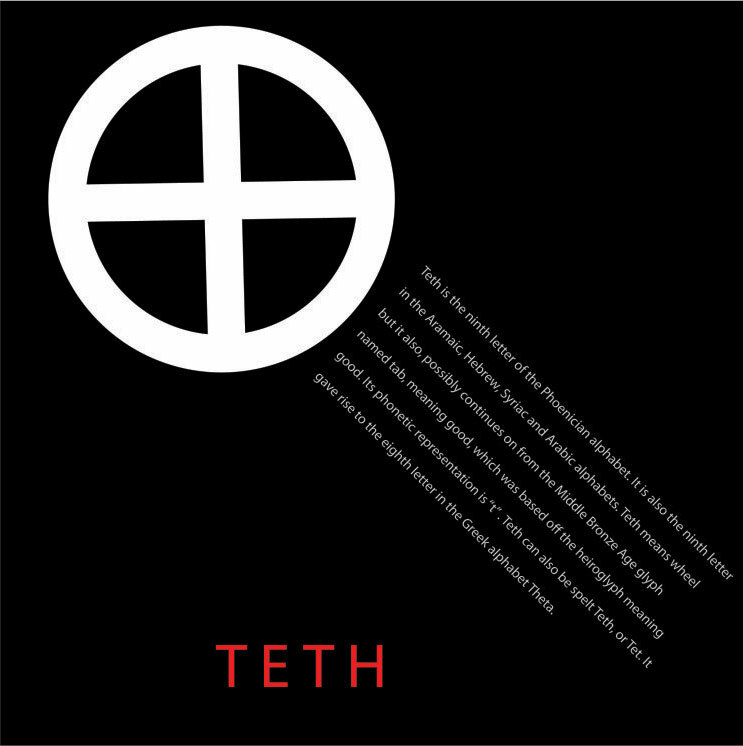 Teth is a Hebrew letter that was originally a circle with a cross or (x) in it. It is now, at least since the Babylonian Captivity, comparable to a poised serpent or a broken circle with the cross removed. Not wanting to get into Jewish mysticism and endless interpretations, this is nonetheless something for us to consider: The altering of this letter suggests religious corruption since Babylon. While it is true that the serpent on the pole represented the Messiah taking on our sins on the cross, and healing those in the wilderness who were bitten by many serpents, the cross or pole was present and needed. The serpent without the cross represents Satan and his demonic hordes replacing the power of the cross with an open invitation to a void. Also of note concerning Teth, the Islamic religion teaches that Jesus did not die on the cross- that Jesus, who was but another prophet, simply ascended into heaven before dying for our sins. Indeed, they teach that it was actually Judas Iscariot- the Son of Perdition– who was beaten beyond recognition and nailed to the cross. Islam, a Semitic religion that claims its roots in Jewish Scriptures, both Old and New Testaments, has taken Jesus down from the cross and removed Him from the center of scriptural faith. Thus, they have replaced the central work of the true Messiah with the false messiah- the biblical Son of Destruction, the Destroyer, the spiritual void and king of the bottomless pit. Jews have historically conceded that Yeshua was indeed crucified by the Romans, but they still await revelation of their Messiah with an announcement by Elijah the Prophet; Muslims, however, who created their religion over six centuries after the cross, have committed the highest trespass against God by altogether denying the sacrifice of Yeshua HaMashiach, teaching the foulest of false doctrines with their revisionary history. Again, Christ is removed from the cross by them, and the central message is lost. And Muslims are not alone in removing the cross from Judeo-Christian nations. (NB: Before Islam, the Middle East mostly consisted of Christians, Jews and pagans.) In Western nations today, leftist progressives, many militant homosexual activists, and atheists are continuously attacking traditional Christian displays of the cross, Nativity Scenes, our place and influence in popular culture, and even coaches/students who voluntarily pray for safety before their afterschool games. The antichristian organization ACLU, which is not a government organization, has traditionally led in much of this legal persecution of Christianity and Christian traditions. This army has a false religious covering, and their great numbers, swarming like locusts, will give power to the Beast- the Destroyer– during the Apocalypse. Nonetheless, the loose and forced unity of the Euro-Arabian empire is not the only power interested in the resources of the Middle East and vying for world dominion. From the East there will come another army, and the end of this global conflict will be at the Battle of Armageddon. Indeed, all of these powers will gather for the final war, and then the Lord will come to save His nation and people from them all. There can be only one everlasting dominion, and it will not come from the scheming politicians of the West nor the East. The letter Tet may also provide a warning of sorts, of a surprise communist attack on the West. Tet is the Vietnamese New Year’s holiday, and the Tet Offensive (launched Jan. 30, 1968) was one of the largest northern attacks on the West and South Vietnamese towns in the Vietnam War. Their surprise offensive very nearly defeated the United States, although it was a desperate attempt on the part of the North. And it is likely that North Vietnam will join communist powers against the U.S. and/or other Western nations in the next world war. They killed 1/3 of the people of the Lord with their armies, now the Lord is just in allowing them to kill 1/3 of the people of the earth. YHVH our Elohim, You are just with all your scales; they have turned your people against each other and slaughtered them; now You will hold them in derision and against one another. They will not listen to Elijah’s warnings of the numbers and the times of approaching death, nor perceive this sixth millennial day. Thus, You show them the times and numbers advancing against them. They would not watch the waters of the Word being lowered for their progressivism, and, thus, You have dried up the river to bring forces against them. From the four corners of the earth they gather for war, for You have heard the prayers of Your saints and heeded those gathered under the four horns of the golden altar. When the Lord pronounced judgments against Babylon for how the empire treated His people and city, He had Prophet Jeremiah write curses against the persecutors of the Lord’s people. Then the great prophet tied a stone to the scroll and threw it into the midst of Euphrates River as commanded him. When the Euphrates dries during the Apocalypse for the Asian armies to cross, demon spirits and curses will be loosed to draw them to the great battle of the Lord. 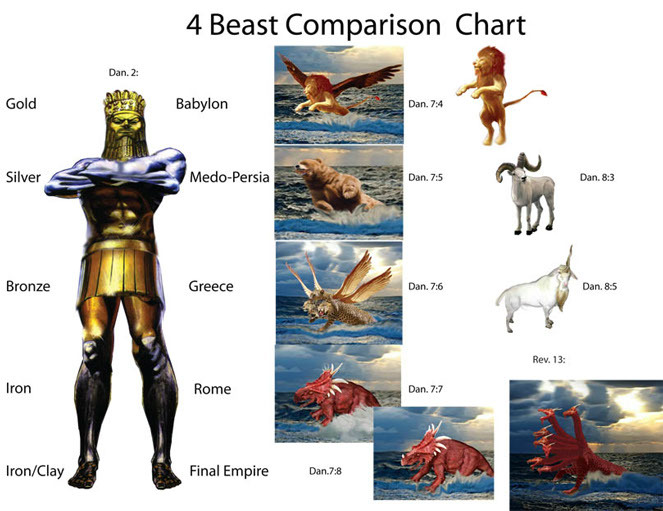 Hence, during the Apocalypse, the curses on the Beast’s empire will be fulfilled as written against ancient Babylon. 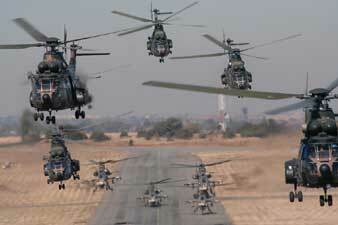 Again, this is an army united from nations from the Far East, 200 million strong. They, too, are swift in movement as horses. But unlike the powers of Satan to sting (i.e., scorpions’ tails), they are given the power of Satan to kill (i.e., serpent-head tails). The horses’ heads appearing like lions explain that their movements are to stalk their prey and devour flesh, meaning much death. 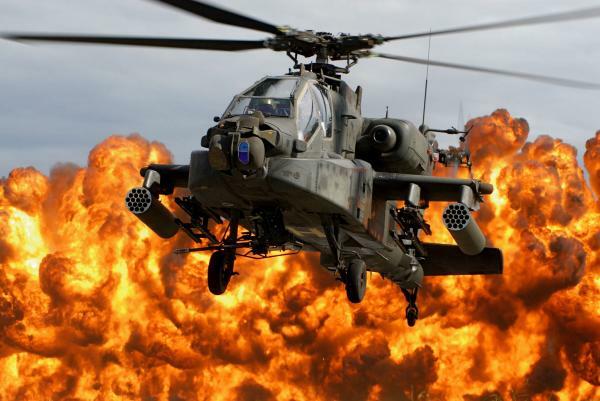 Fire from their mouths likely symbolizes airborne artillery and their burning down of the places they conquer. Moreover, the curse of the sixth shofar releases demons to draw rebellious nations of the world together for the great day of battle, just before the Deliverer of Israel comes to the slaughter. The three colors of red, blue, and sulfur yellow for their breastplates identify the people of these kings of the East. 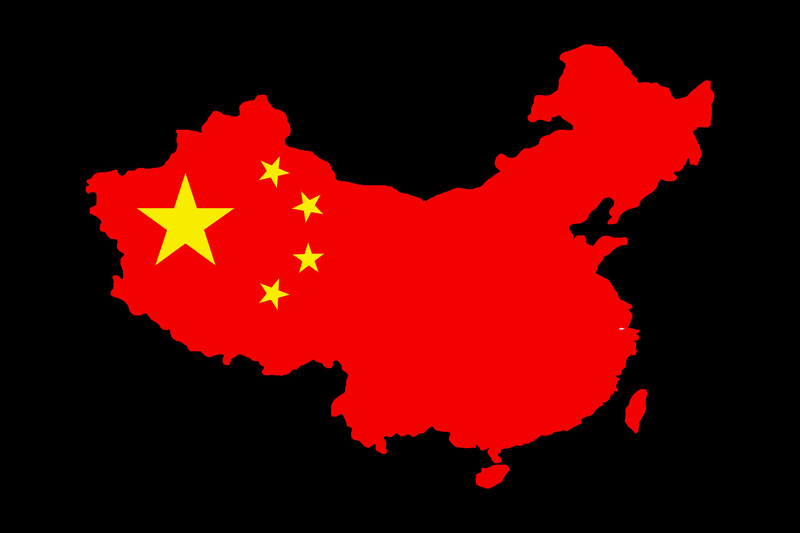 Yellow is the national color of China, as seen in their yellow and red flag. Unlike the West, where yellow traditionally means coward, the color yellow is uniquely honored by Chinese people. Huangdi, the Yellow Emperor, is thought to have begun Chinese civilization, and famous Chinese dynasties have followed suit with the color (e.g., Ming, Qing). India also has a special place for honoring yellow; it represents their great mass of farmers and is worn in their Festival of Spring. 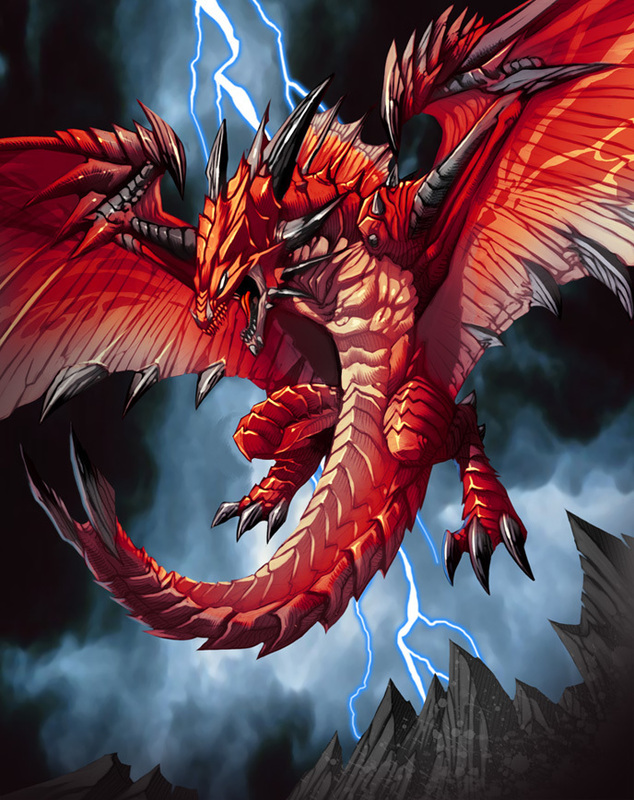 Fiery red is the universal color of communism and Marxism, and red dragons traditionally represent eastern powers. The red of communism goes naturally with the yellow of far eastern nations. Perhaps the most elusive color to correlate with the East is deep blue or indigo. Unlike communist red and Asain yellow, blue is so universally utilized with banners and national themes that it cannot uniquely represent a specific region of nations. Nonetheless, in China, blue represents the four seasons of time, whereas to Asian mystics deep blue represents self-actualization, self-mastery, and spiritual depth and contemplation. Thus, it is possible that the eastern army of 200 million troops is also represented by the color blue to express completion of prophet times- “prepared for the hour and day and month and year.” The fours seasons express the changes and completion of a year, with all things in a cycle for a new beginning. 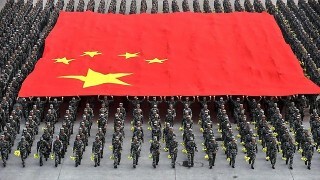 With the great size of the army and the combined colors that represent them, there should be little doubt among students of history that the above passage points us to an army assembled by China and those who join with them from the communist Far East, to engage the Beast over the fate of the Near/Middle East. Is it any wonder that the Lord must come to rule with a rod of iron, seeing that people refuse to change. Three billion people can die in the horrors of war, and the planet can revolt against its inhabitants in earthquakes and plagues, and yet each person is for himself or herself; the remaining still look back at Egypt, remembering their menial desires, seeking instant pleasures at any cost, choosing poisons that kill them slowly, seeking death and darkness and pleasure in misery. In darkness they think that they can shine as stars, so they seek darkness; but the elect of God will walk in true light, peace, love, and joy, not needing the cover of darkness to shine. This chapter ends before the 7th and last trumpet, when the Great King is revealed at the Battle of Armageddon, at the end of the Year of Recompense. Thus far, the trumpet signs have been 1) the curse of the earth, as in the day of Adam; 2) the curse of the seas, as in the day of Noah; 3) the curse of freshwaters and rivers, as in the day of Moses; 4) the darkening of heavenly lights, as in the day of Christ; 5) the curse of fleshly torture, as in the day of Peter; and 6) the curse of global demonic powers, as warned of in this day of Elijah. 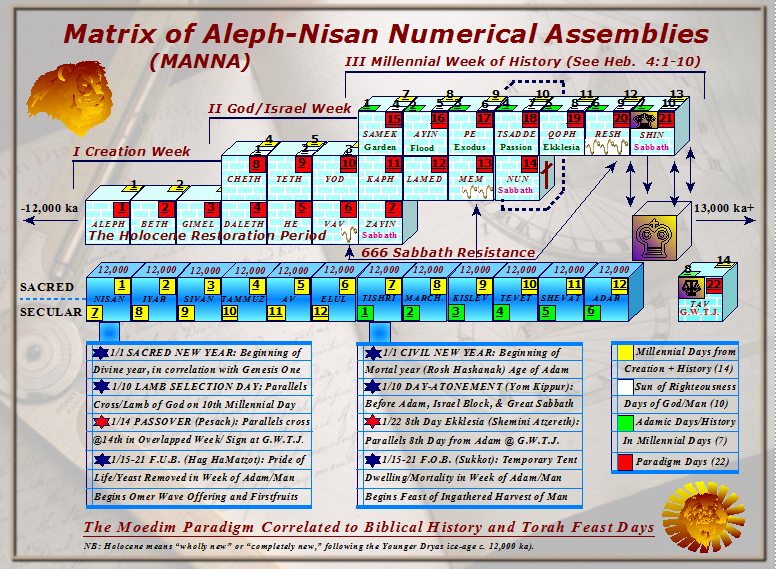 A break occurs between the 6th and last trumpet so that the works of the Lord through Moses and Elijah, in the 6th millennial day, can be perceived in greater detail. Because the trumps also confess signs of the millenniums, between the 6th and 7th trumpet is the proper literary placement of their work. The two witnesses prophesy until the end of the Apocalypse week of years. After their work, the 7th trumpet is blown and the mystery of God is finally finished. They prophesy these things to the world at the close of the 6th day and during the first year of the Great Sabbath. But before they prophesy for 3.5 years, the little scroll of Revelation must be opened to the world for uniting believers’ hearts, of the earth and sea. The little book is a blessing to all who read it, once they comprehend the discourse of the seven voices and heed their instructions within it.